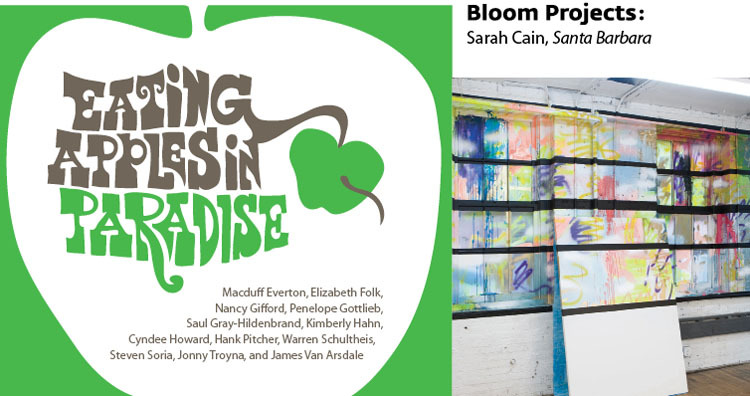 Eating Apples in Paradise is brought to you in collaboration with Lotusland’s exhibition, entitled Penelope Gottlieb, Gone, on view from February 26 – April 23, 2011. Docent-guided tours offered Wednesday through Saturday for an admission fee of $35 (adults), $10 (ages 5 to 18), and FREE to children under 5. Reservations are required to view the exhibition and may be made by email at reservation@lotusland.org or by phone at 805-969-9990. Los Angeles-based artist Sarah Cain takes painting outside of its traditional canon by using man-made and natural materials to create a tension between abstract, geometric logic, and a rush of fluid, free-form lines. Inspired by the mythical Moreton Bay Fig Tree located near the Santa Barbara train station, Cain will construct a free-standing painting/installation.